Now that warmer days are approaching, it's the perfect time to give your body its own spring clean. A cold and dark winter can leave us feeling low in energy and overall vitality, but with a little extra effort you can fight fatigue and recover your exuberance. Keep reading for our top tips! Plan a trip: They say that having something to look forward to being one of the best ways to feel positive in the present moment. Plus, new experiences are energising in themselves – so what’s next on your bucket list? Laugh: Vitality is self-reinforcing. The more we feel, the more we get! Laughter realises endorphins, the brains ‘feel-good’ chemicals. Heard any good jokes lately? There’s actually an eleventh tip we want to add to the list: one of the best ways to boost vitality levels is to share delicious food with family and friends. This recipe for Vietnamese noodle salad with shrimp and kiwifruit is bursting with fresh flavours to energise both you and your taste buds. It’s also a great lunchbox option, so why not double up on portions and store half in the fridge for later? There’s nothing better for our sense of wellbeing and vitality then knowing we’ve got a delicious meal prepared and waiting. 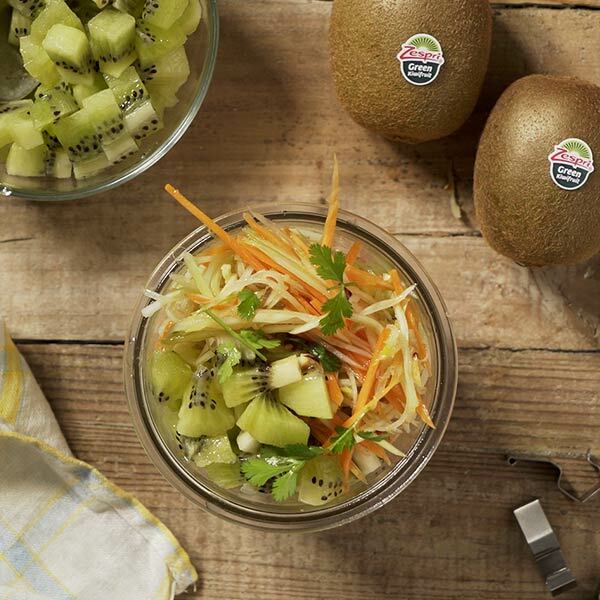 If your lunchbox is looking a little listless, how about a fresh noodle and Zespri Green kiwifruit salad for a boost of vitality?.